The roster update for Madden NFL 15 following week two of the season is out for all systems. Check out the complete spreadsheet of changes made in the latest roster update here. 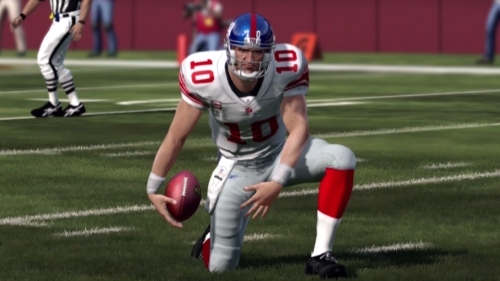 EA Sports has released full details on what to expect in the post-week one roster update for Madden NFL 12. There are over 500 moves made in this update including ratings changes, roster adjustments, injuries, and jersey number fixes. The update is expected out for the Xbox 360 and PS3 on Friday morning. The Chiefs and Panthers have lost impact players on their respective defenses for the season as Eric Berry and Jon Beason hit the IR. The biggest ratings boost goes to Bills’ TE Scott Chandler who moves up 10 points from his original 63 rating after his breakout performance. Cam Newton gets one of the more significant raises as mentioned earlier this week as he goes from 77 to 81. Patriots rookie lineman Nate Solder gets even more credit going from 77 to 82. After a dismal 39 yard performance Donovan McNabb drops from 82 to 79. Aaron Rodgers returns to the pinnacle reclaiming the 99 rating he reached at the closure of last season – and he takes the place of Troy Polamalu who has lost his 99 rating after a rough first week.